In the US, producer prices rose 0.2% in September, but moderated to 2.6% on a year-on-year basis. The gain was led in large part by services, up 0.3% month-on-month, as transportation and warehousing prices rose a whopping 1.8%. This caused core inflation (which excludes food, energy and trade services) to grow a larger-than-expected 0.4%. Over the past 12 months, however, “core-core” remained at 2.9%. With input prices running ahead of final prices, consumer price inflation will likely continue to gradually rise. On the consumer front, prices came in a bit softer than expected, growing 0.1% for both the headline and core CPI measure. A 0.5 drop in energy held down headline inflation, while the similarly modest pick-up in core prices can be tied to a 0.3% drop in core goods. The weakness here was largely due to a 3.0% decrease in used auto prices. This weakness is not expected to persist given the Manheim used car index has increased in recent months, and the recent hurricanes will likely spur replacement demand. Core services remained strong, however, up 0.2% month-on-month. US import prices rose 0.5% in September. Higher oil and food prices were behind the gain, however, as, excluding fuel, prices were flat and excluding both food and fuels, prices were down 0.1%. Over the past 12 months, import prices were up 3.5%. Despite the mixed inflation data for September, higher oil prices and effects of the more recently enacted tariffs cause to expect inflation to strengthen in coming months. Supply and transportation constraints are causing oil prices to be higher than originally thought through the rest of this year and into next. While, unlike the initial round of tariffs, which were primarily concentrated on intermediate products, the more recent $200 billion of imports from China now subject to tariffs involve finished goods. In the 30 trading sessions from 24 August, yields on 10-year US Treasury notes increased 22 times (73% of days), as of 8 October. That is the highest percentage in increase days since May 1984. Since new market information has tended to result in rapid repricing in a matter of days, the grinding selloff seems illustrative of a momentum-driven environment where selling begets selling, often pushing prices into oversold territory. Stocks fell sharply, with the S&P 500 Index losing more than 5% Wednesday through Thursday, its largest two-day drop since early February. The smaller-cap indexes suffered the biggest declines, pushing the S&P MidCap 400 Index into negative territory for the year to date and the small-cap Russell 2000 Index into correction territory, off more than 10% from its recent highs. The Cboe Volatility Index (VIX) spiked and hit its highest level since late March on Thursday, while trading volumes reached their highest level in over eight months. Industrials and materials stocks performed worst within the S&P 500, while utilities stocks fared best. High-valuation growth stocks under-performed slower-growing value shares for much of the week but regained ground on Friday. President Trump blamed the US Federal Reserve for this week’s market slump, deflecting blame from the growing trade conflict with China. “They’re so tight. I think the Fed has gone crazy,” he said. Later, National Economic Council director Larry Kudlow said he thinks that Fed Chairman Jerome Powell is “on target” and that the president is not dictating policy to the Fed. Retail sales for September will be released on Monday, which is likely to show that private consumption remains the main growth driver in the US as consumer confidence, among others, continues to be strong. On Wednesday, the FOMC meeting minutes are released. In terms of rate hikes, the Fed is expected to be on autopilot. However, interesting comments will be the ones on how long the Fed is planning to continue to reduce balance sheets and what the future monetary policy framework is going to look like. European equities followed global stocks lower, as investors worried that rising interest rates would curb global growth. The STOXX Europe 600 Index was down about 5% for the week, hitting new 52-week lows. Luxury brands were heavily sold amid concerns of weaker-than-expected Chinese growth and new Chinese customs restrictions. Credit rating agencies Moody’s and S&P Global have Italian sovereign debt under review for a downgrade, and both organisations are expected to render their verdicts in the second half of October. Italy is rated two notches from falling out of the investment-grade category. A one-notch downgrade is reportedly priced into the market at present. Italy’s populist government is proposing large spending increases that have it on course for a clash with European Commission budget watchdogs. Italian yields rose to a four-and-a-half year high this week amid the renewed scrutiny from Brussels and the ratings agencies. The final euro area September HICP figures are released on Wednesday. No revision is expected from the preliminary figures, which showed headline inflation at 10%, remaining above the ECB’s target. But more importantly core inflation surprised on the downside at 0.94% and still does not show any convincing upward trend despite accelerating wage pressures. The final September HICP figures will give insight as to whether the stagnation in service price inflation is again due to one-off factors or more permanent headwind. On Monday the Italian government will have to submit its 2019 budget proposal to the European Commission. In light of overly optimistic growth assumptions, significant fiscal weakening and many open questions on the financing side, the consensus is now that the Commission will voice a negative opinion and ask for a revision of the Italian budget. In this case, the Italian authorities will again have three weeks to comply with the request. Concerns regarding a budget clash with the EU and rating downgrades continue to weigh on Italian fixed income and equity markets and ‘Italian noises’ will remain a market theme in the coming weeks and months. Increasingly cautious lenders expect to scale back mortgage lending in the next three months by the greatest extent since the depths of the financial crisis in late 2008, a Bank of England survey showed on Thursday. 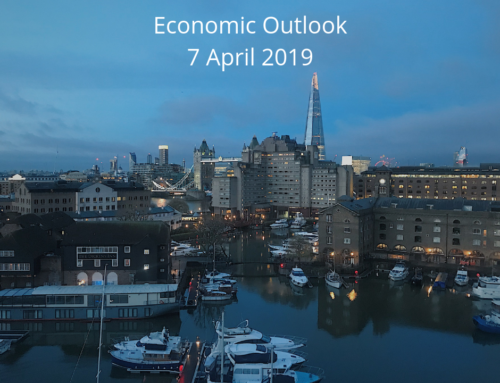 With less than six months to go until Britain leaves the EU, the BoE’s quarterly Credit Conditions Survey showed reduced appetite for risk was the biggest drag on banks’ and building societies’ plans to supply secured borrowing and loans for businesses. While hopes for an interim Brexit deal have grown in recent weeks, divisions remain within the government of Prime Minister Theresa May over how long the backstop plan to keep the United Kingdom in the European Union customs union should remain in force. One faction wants the deal to last only until the end of the two-year post-Brexit transition period, while another, led by Chancellor of the Exchequer Philip Hammond, expect a longer transition, given the complexities surrounding avoiding the creation of a physical border between the Republic of Ireland and Northern Ireland. The UK and EU hope to have a text that can be provisionally agreed at a summit in Brussels on 17 October. Any deal reached will need to be ratified by a closely divided UK parliament. China decreased the amount of money that commercial banks must put aside at the country’s central bank, a significant move that could release an extra $175 billion into the economy, as Beijing steps up measures to support growth amid a worsening trade war with the US. The previous weekend, the People’s Bank of China (PBOC) lowered its reserve requirement ratio by 1%, effective October 15. The move marked the PBOC’s fourth reserve ratio cut this year and will hand mainland banks 1.2 trillion yuan (of which 450 billion is to be used to repay their own borrowings from the PBOC). The latest rate cut is a fairly sizeable reduction that will release a net amount of 750 million yuan into China’s economy, or a little less than 1% of the country’s gross domestic product. It was announced that US president Donald Trump and Chinese president Xi Jinping will meet at the G20 summit in late November. Sure to be on the agenda is China’s record trade surplus with the United States, which hit $34.13 billion in September. Also this week, US treasury secretary Steven Mnuchin warned China against employing competitive currency devaluation to improve its competitiveness. Q3 Chinese GDP data will be release this week and a decline to 6.6% YoY is expected in line with Chinese growth is slowing as exports have taken a hit from the trade war and slower global growth. However, housing and infrastructure investment is set to underpin growth. Sources: Wells Fargo, T. Rowe Price, Reuters, Danske Bank, MFS Investment Management.